I’ve got the next quilt done. It was picked up a little while ago and they loved it. 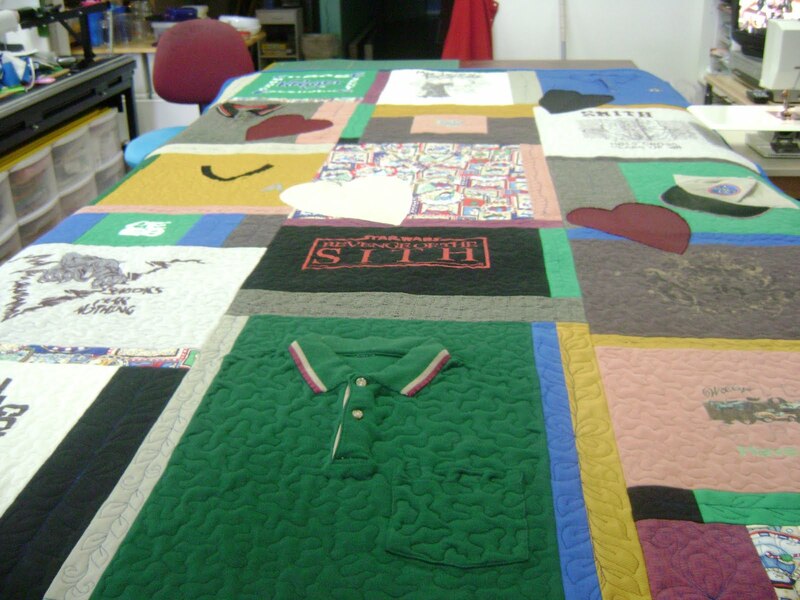 It’s the memory quilt I had on my design wall for a long time. It was due to be given on Mother’s Day so I worked overtime to finish. 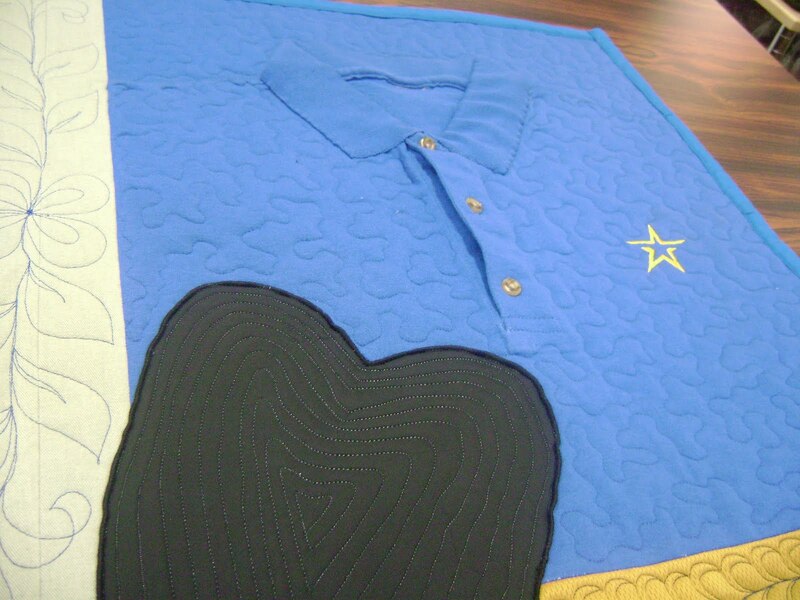 It’s made from the clothing of a young man killed by a drunk driver. This is what happened. He was on his way to work, sitting at a red light. A drunk driver plowed into him. He was taken to the hospital where his mother is a nurse. She got to hold him and say goodbye. 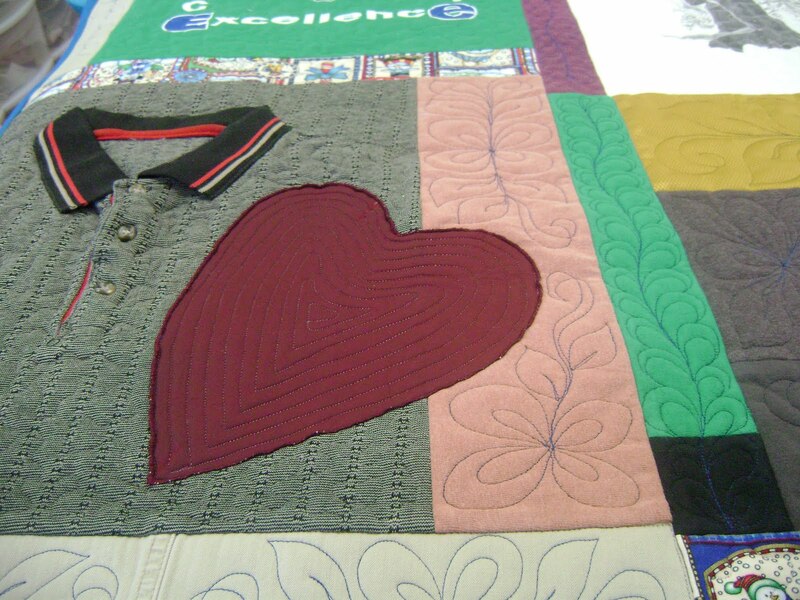 The center panel is the shirt his mother was wearing the day he died. 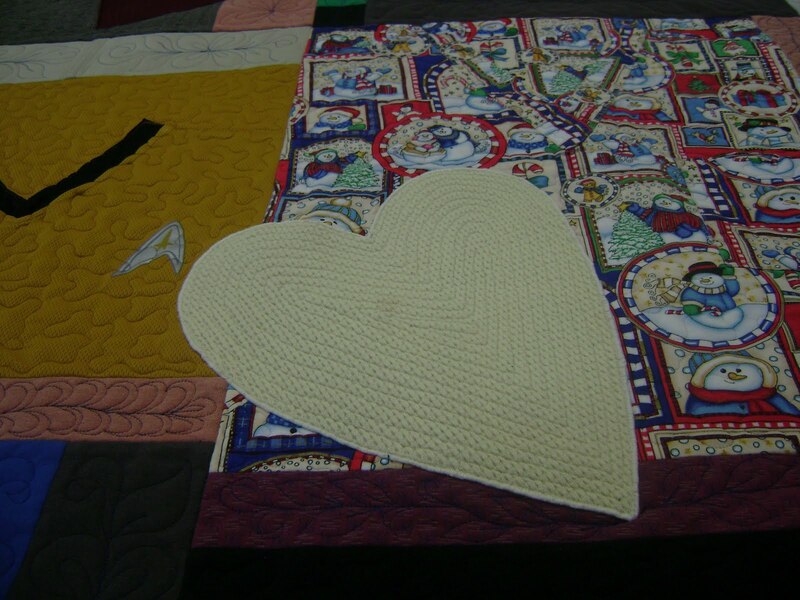 The cream heart is a piece of his baby blanket from when he was born. He worked at Kroger and this was his favorite hat. He loved his job. The two burgundy hearts are from the clothing he was wearing that day. This is one of his work shirts. The heart if from the clothing he was wearing. 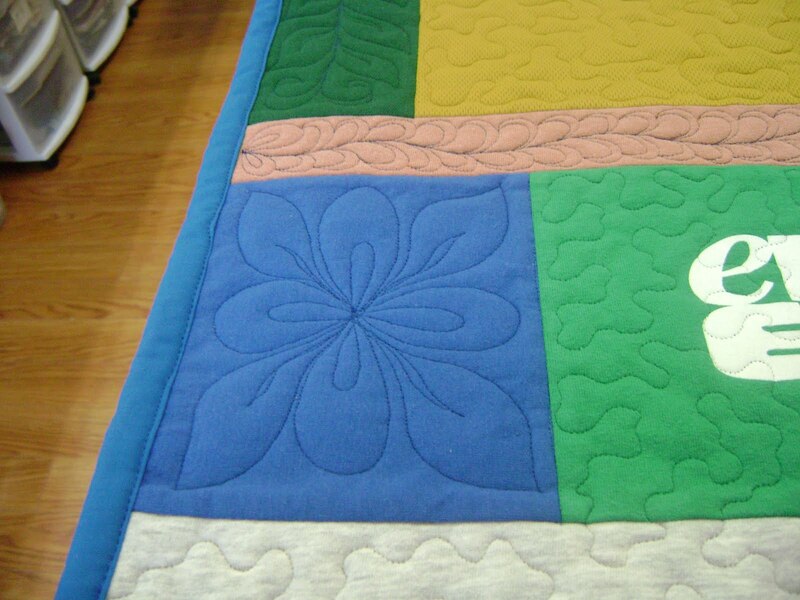 To make it all coordinate together I used a blue thread which matched the backing. I dressed it up a little for the mother by using feathers and leaves designs and meandering on the shirts. The shirt collars were left in tact for 3 of the blocks. I’m proud to have been able to create a memory for his mother. Now for the other part of this blog post…… Is God trying to tell me something? 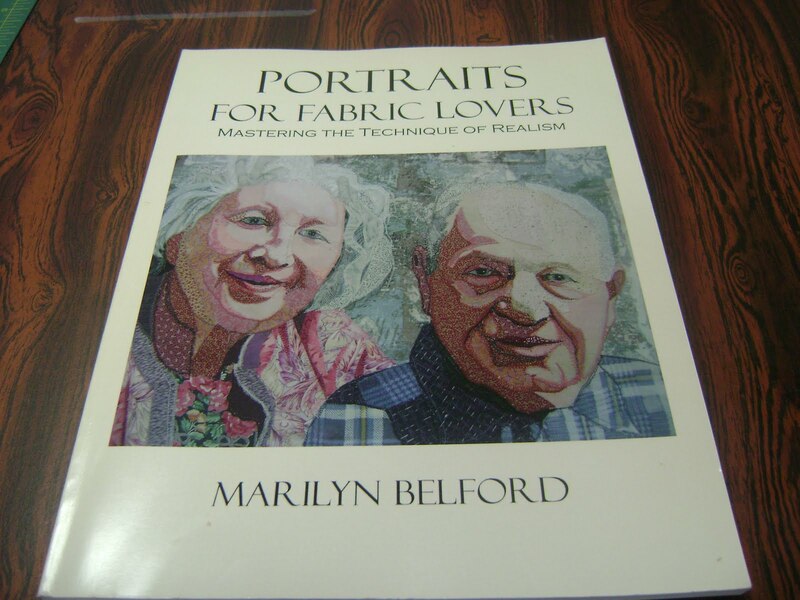 Those of you that have known me for a long time may remember just how very much I want to be able to create portrait quilts. Not just of people but of animals too. I’ve bought books…. 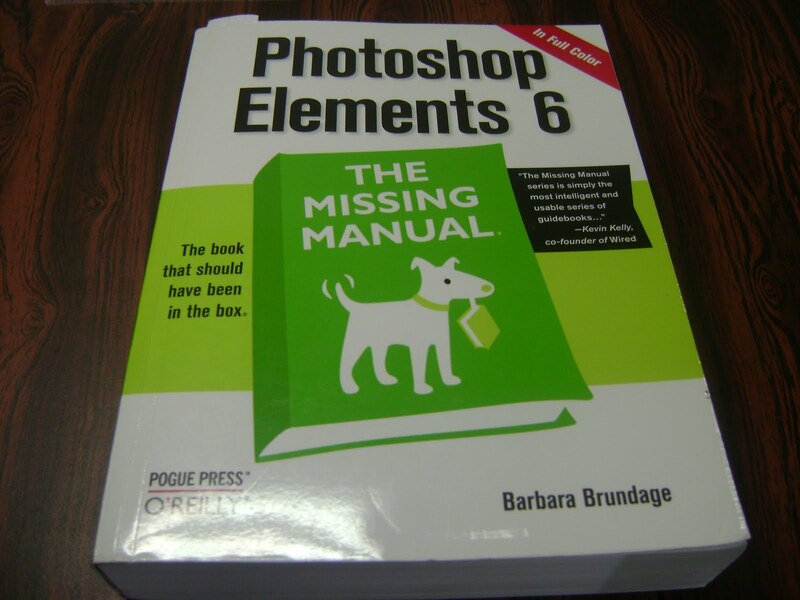 and more books….. as well as DVDs…..
I’ve taken classes….. and paid for patterns…..
I’ve bought photoshop elements hoping to use it for portraits and for organizing photos to be included in my cardboard furniture instruction book. 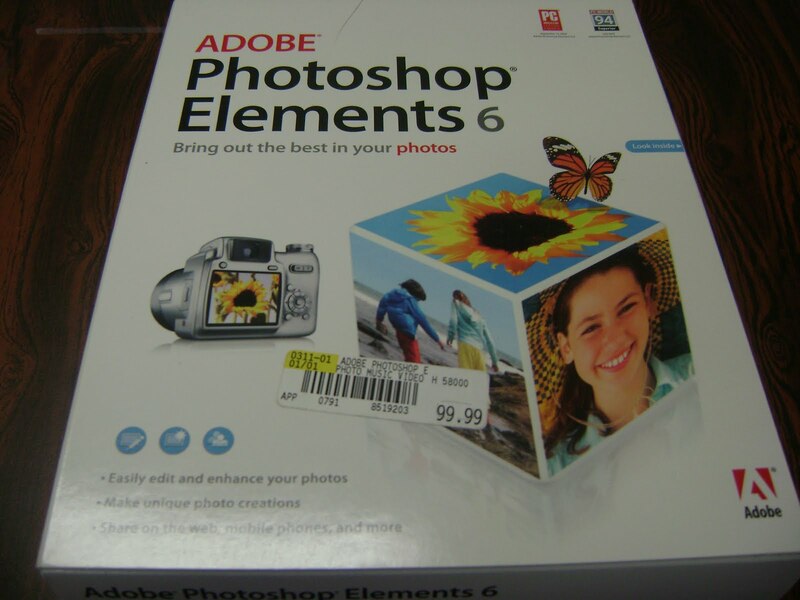 Then I bought the book to go with the software. It only made me more confused. It’s been one set back after another for probably the last 3 years. It could be even longer than that. I can’t remember exactly. 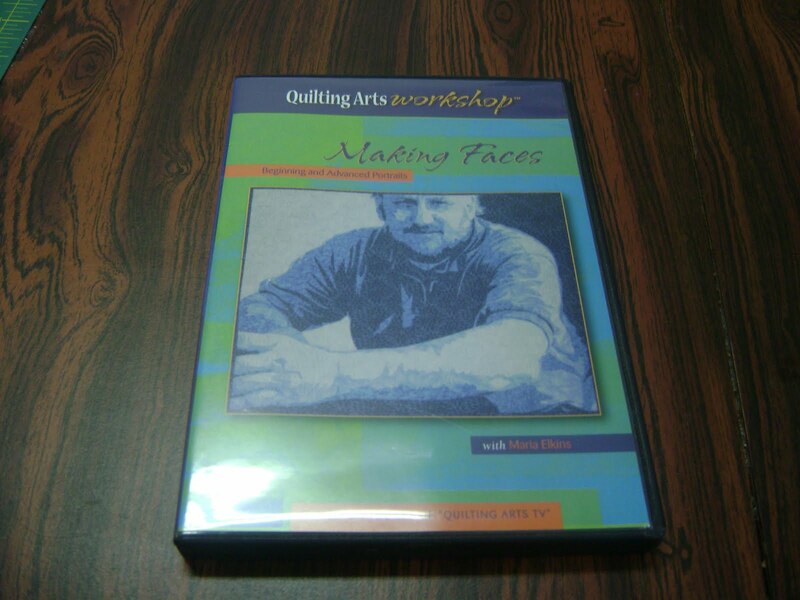 Actually, I’ve wanted to draw portraits my whole life…. I just never got the instructions to help me do them. 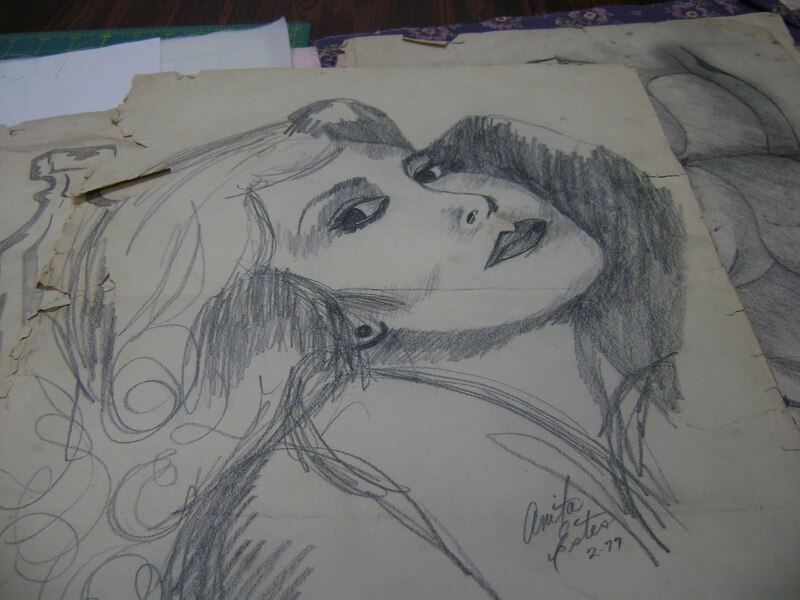 Here’s a picture I did in 1977…. the last time I picked up a pencil and sketch pad specifically to draw a person. Here’s another one I did that same month. I had the idea but not any training. I tried drawing other things too. These were my husband’s work boots and socks. 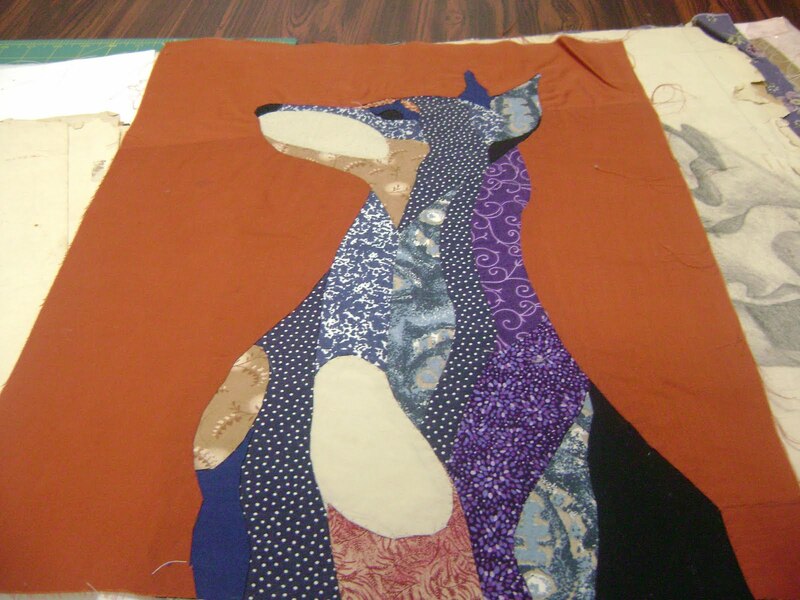 Here’s an attempt to do dog portraits in fabric from years ago. I got the pattern from a book at the library. Kind of odd but cute too. This week I’ve been literally “just a few minutes too late” to get into both a class in Kentucky AND an online class. The first one was a class in Lexington. I called to ask about taking a class on the very day it was held. Not enough time for me to rent a car and get there. No more are scheduled until “maybe” fall. The online class? While I was down loading a new version of Flash player, the class filled up. Yup, it filled up that fast. The people from an in person class wanted more instructions so they all signed up at once. No more are scheduled until September. I’ve watched my DVDs and read my books again and again. I still can’t create a portrait quilt on my own. After crying in frustration for awhile this afternoon, I decided that maybe it’s not meant to be. Maybe God is telling me to take another path. Why? Because for each step I take forward to creating portraits I wind up falling two steps backward. It’s time to stop putting hopes, dreams, and lots of money into what will never happen. After a lifetime of hoping and dreaming, it’s time to let it go. Whatever path God wants me to take…. it will become apparent because it will be the easiest to accomplish. For now it looks like writing a blog and instruction book about cardboard furniture is going to be first. The easiest and least expensive. In the meantime, I still have 2 more tops to get quilted by Tuesday. This post is already too long. It looks to me like you already have a talent for drawing – classes are great for learning new techniques, but don't let the lack of one stop you from doing what you already have in you to do. THE QUILT IS so beautiful and moving it brought tears to my eyes. God may also be telling you to continue to make such precious gifts for others. I also agree that a “regular drawing class” would be the direction to go. and that yes, the “right” teacher or class has simply not come your way. YET. Yes, (giggle) I do tend to over complicate things quite often. The right teacher or the right class…. hmmm. I'm thinking maybe a regular art class for learning drawing, instead of a textile class, might be a better option. 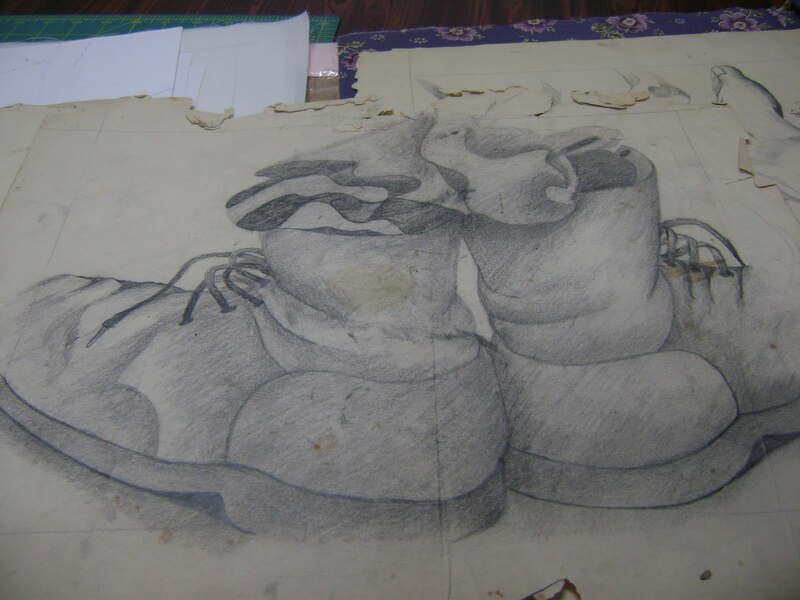 I could learn the drawing first and work on the textile part later…. hmmm. It does seem like many of the well known textile artists do start out in other mediums then switch. 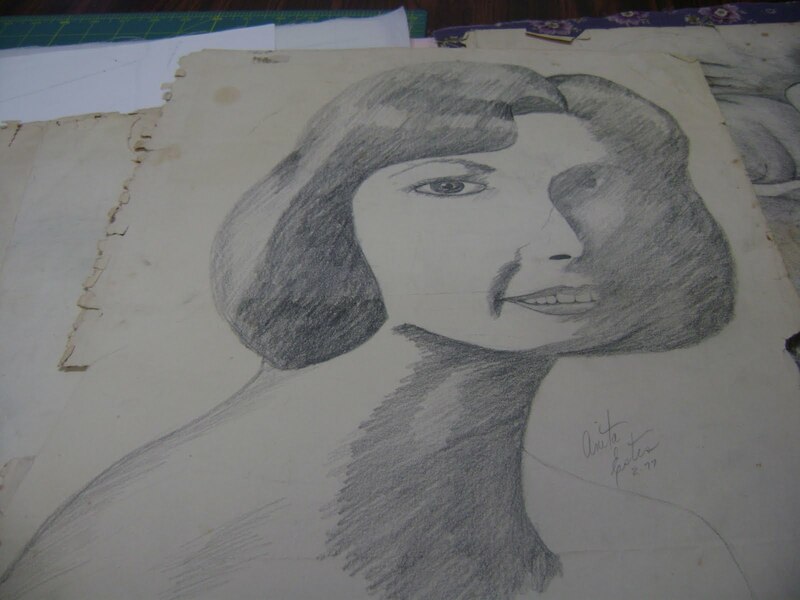 As time goes by and I learn more about drawing, I could figure out how to do the fabric portraits “my own way”. Now you've got me thinking of possibilites again. Thanks…. both of you! 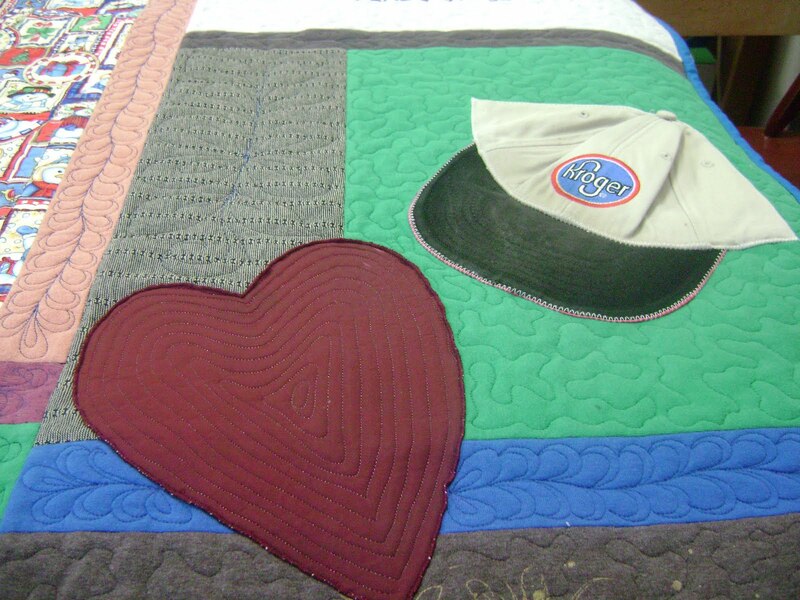 The memory quilt is beautiful– it's going to be a real comfort to his mother's heart. It's amazing to me how you can capture the man in the quilt made by his clothes. In the Bible it says that if you trust in the Lord, He will give you the desires of your heart. I don't think this means He gives you your every whim, I think it means that He gives you the actual desires. 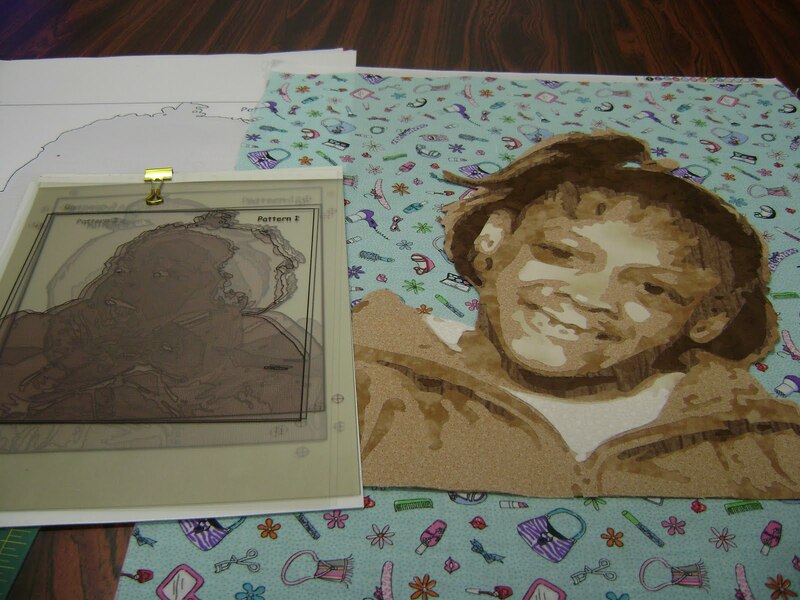 It's pretty clear that you have a great desire to do portrait quilts. It's also clear from the sketches that you have the talent to do it. I think the talent and the desire are from the Lord. It might be that the right teacher needs to come along. Keep looking, and in the mean time, you could try doing it your own way: you have a real talent for figuring things out. It may be that you're over complicating this. 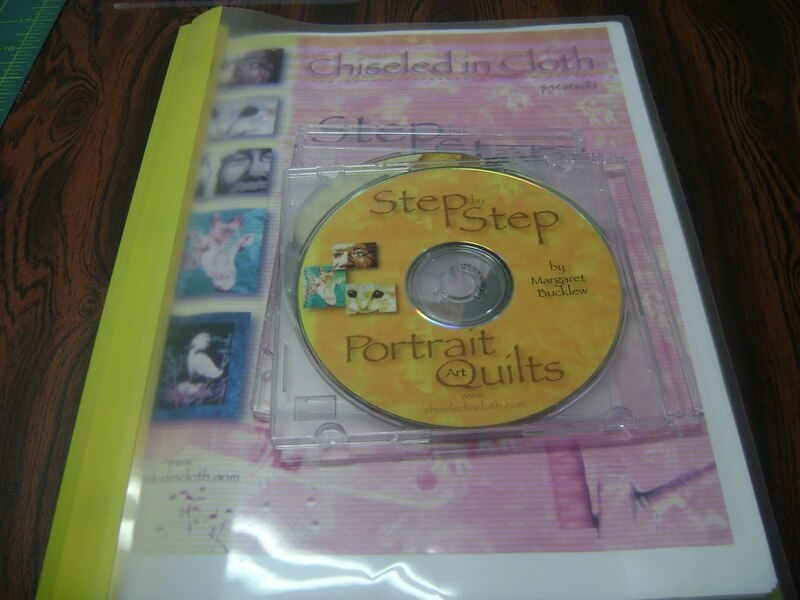 This entry was posted on May 8, 2010 by Anita in ART JOURNEY, Journey 2010, QUILTS - CLOTHING AND T-SHIRTS.